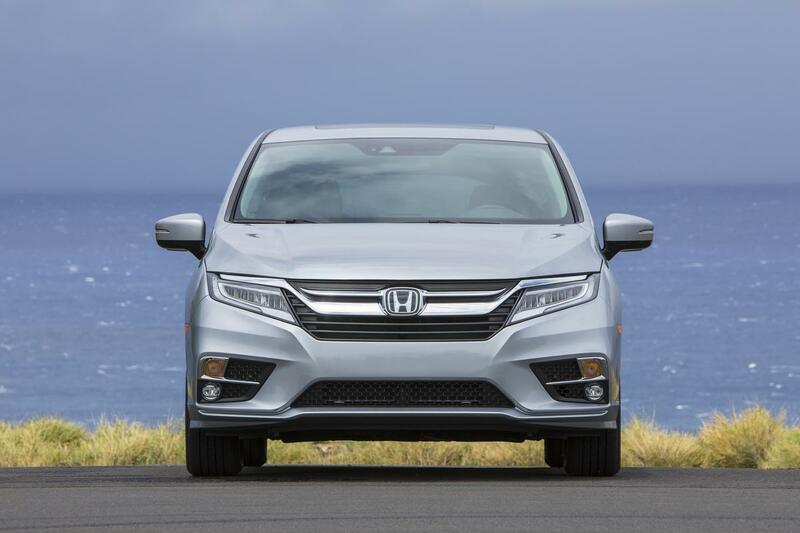 If you are in the market for a brand new minivan with the most award-winning safety rating on the market today, it is time to get behind the wheel of the 2019 Honda Odyssey. Currently rolling onto the showroom floor at Vardaman Honda. This family minivan continues to lead as a top performer and has become a favorite amongst Mississippi minivan owners. Following its recent release, the all-new Odyssey is the only vehicle of its kind to achieve a “Good” rating for both the driver and passenger sides in IIHS' strenuous Small Overlap Front Crash Test. This illustrious automotive safety organization also recognized awarded this minivan with its top rating of "GOOD+" in its testing of Lower Anchors and Tethers for Children (LATCH) to determine the relative ease to safely install child safety seats in a vehicle. In fact, the 2019 Odyssey is the only tested minivan that earned above an "ACCEPTABLE" rating from the IIHS. Along with being one of the top safety-rated minivans on the market today, the Odyssey also ranks high on most parents “minivan wish list” thanks to features like a powerful yet quite engine, innovative technology, tons of luxury seating and cargo space as well as easy to use sliding seating and doors. Along with power, parents can also enjoy keeping a close watch on all the kids in their backseat thanks to the return of Honda’s two popular parenting technology features – CabinWatch and CabinTalk. Designed to help you, the driver, both see and communicate with kids as well as others in rear seats without ever taking your eyes off the road. Parents might also appreciate the fact that this minivan will keep your kids entertained thanks to an available 10.2-inch rear seat entertainment screen system, with internet-based apps such as PBS Kids, iHeart Radio, Spotify, and others. What would any award-winning minivan be without added space and driver creature comforts? 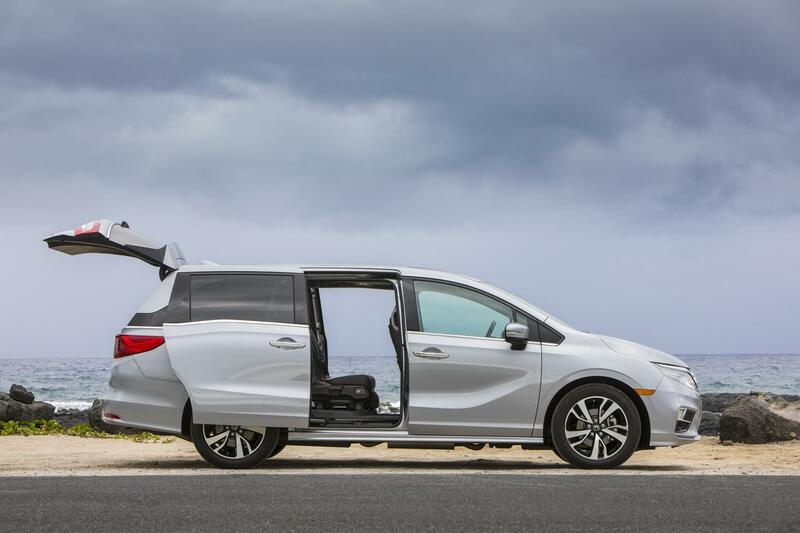 Luckily, this Honda aims to please with seating that can be setup in several configurations, thanks to the Odyssey Magic Slide system as well as enough storage for a whole soccer team. Along with 144.9 cubic feet of cargo space behind the first row, 32.8 cubic feet behind the third-row and an SUV-like 86.6 cubic feet of space behind the second-row seats, passengers can also enjoy storage places throughout the cabin of this luxurious Honda. Top all this off with features like a multi-angle rearview camera, 5.0-inch LCD screen, Bluetooth connectivity, USB audio as well as a heated steering wheel you can rest assured that both you (the driver) as well as all your passengers are in complete comfort no matter where you roam. So, what are you waiting for? Get behind the wheel of this new and improved award-winning minivan at your leading Hattiesburg, MS Honda dealer today.